Is natural hair hard work? A couple of weeks ago I met a lovely woman with relaxed hair who told me that as much as she enjoys watching and learning from women with natural hair, she’ll probably never go natural. Why? Because natural hair is “too much hard work,” she said. So it got me thinking. Is it really? I mean it definitely can be, with so many steps that can be involved: Prepooing, co-washing, clarifying, tea rinsing, deep conditioning, oil rinsing, moisturising with the LCO / LOC method, finger detangling, protective styling, retwisting / rebraiding at night, sleeping on silk pillowcases etc. The list of steps can seem never-ending and in fact quite daunting, especially if you are newly natural. And if you’re contemplating going natural it can probably put someone off completely just listening to all these terms. But for me the stand-out message is: The more effort and care you put into your hair, the better off your hair will be. I’m not saying you should incorporate all these steps, but listening to your hair and giving it exactly what it needs, will stand you in good stead. It stands to reason if your hair is dry and prone to breakage, regular deep conditioning sessions and responsible protective styling will trap moisture and help you to retain length. So it’s all relative – what may be hard work to one may be a walk in the park for someone else. 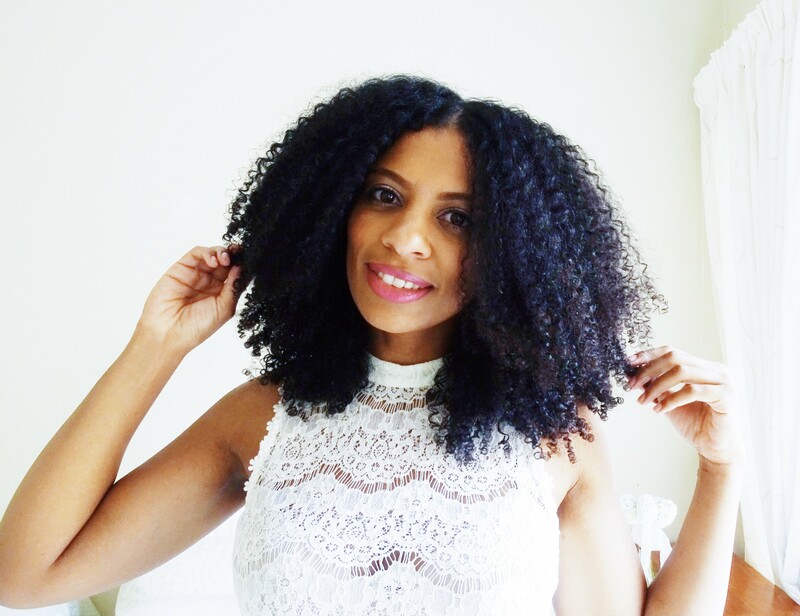 Although I agree that natural hair can be hard work, it doesn’t have to be. A very simple regime can consist out of the following steps: wash, deep condition and style by applying a leave-in conditioner and sealing with an oil or butter, followed by regular moisturising until the next wash day. Easy right? What’s so hard about that? But it seems that the term “natural” equates “unmanageable” for some. It really doesn’t have to be that way. In a nutshell, all it takes is learning as much about your hair as possible. Find out what it likes and dislikes. For example, detangling sessions do not have to take over your entire Saturday. If your hair tangles easily, wear it in a way that enables an easier wash day, such as in twists or in a bun. When I was relaxed, I personally didn’t take as much care of my hair as I do now. I didn’t even know the term “deep conditioning” existed and didn’t bat an eyelid every time I would pull a comb through my hair and heaps of it would come out. Now I’m meticulous in looking at how much hair I lose every single time I detangle and I make sure to distinguish between breakage and shed hair. So I think why it often seems like hard work to some is because of the new awareness that comes with caring for natural hair. You’re aware that you have to be extra gentle; you’re aware that if you don’t moisturise often, your hair will probably snap off due to dryness, and you’re aware that if you don’t trim those split ends, it can cause more irreparable damage. Once you know how to handle your hair it’s really not hard work. Simply learn as much about your strands so that it becomes manageable. What do you think Girls? Please weigh in by commenting below. I really dont feel that it is hard work. I felt the same way before going natural. As you said, simple routine is needed and once you get used to it, in no time it will “a walk in the park”. Yes, it does require effort but once you see hpw badly you were treating your hair and start noticing how healthy it becomes you will have no regrets and your hair will thank you! Mine is not hard work I decided to stick to a routine that suits my hair and not follow trends, and it helps. I have been natural for the last 6 years now and I can have never felt that it’s hard work. It actually made my life less complicated! Love!!!! I feel as though it will only be hard if you try to manipulate your hair to exist in a form that it doesn’t want to. I fully agree with listening to what your hair needs in order to thrive the best- that would be in strength and moisture.